A typical obstacle in this type of training, the pedestal, builds confidence and trust that carries over to real world tasks such as trailer loading, standing in a wash bay, and jumping. Natural horse training is all about the strength of bond of trust and the relationship with equine partner. Like traditional training, it aims to test how high of a level of communication you have with your partner. In this type of communication, the animal seeing and trusting you as his leader is paramount. These things are taught and refined in how you choose to interact with your horse in all situations, not just when you are riding. Begin communicating with your equine partner in a language that he will understand, the body language another horse would use. You will also take his very nature as an equine prey animal into account in your training on a regular basis. You earn credibility and leadership points with him and he starts to trust you and act like a partner. That is the big difference between traditional and the natural approach. Tom Dorrance and Ray Hunt are two of the biggest contributors in the modern natural horse training revolution. Ray Hunt really brought the concept to the larger horse owning population. Several of today’s big name natural trainers have studied under one or both of these men and a few others, taking what they learned making their own programs and even schools based around these same principles. Using psychology to train a horse when done correctly is extremely effective. You will learn to figure out what he is thinking and feeling by reading the cues in his body and observing his behavior. This training is about the rider learning to read the horse and use appropriate timing and cues to get the desired response. 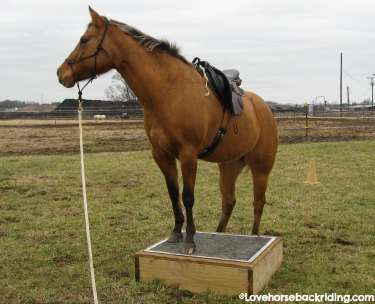 This process starts on the ground first, which is the safest place to learn and observe your horse. When you have gotten a good foundation on the ground you then apply the same principles to riding with fabulous results! You will be surprised how many of your common “issues” that you had become non-issues because you fixed it on the ground using a method he easily understood. When you gain a solid foundation, you will have a lot more fun and less headaches together in whatever discipline you choose. It can take more time than the traditional route, but isn’t a solid foundation and the relationship with your horse worth it? Clinton Anderson Training - This effective, easy to follow natural horsemanship method from Downunder Horsemanship will be sure to have you rethinking the relationship. Learn how to gain your horses' respect and control his body to stay safe. Horsemanship Schools- These programs are devoted to teaching you about everything from riding to care. Many natural horsemanship trainers have their own programs you can attend. Chris Cox Horsemanship- Chris Cox is a three time Road to the Horse Colt Starting Champion. His natural horsemanship program can improve your skills, no matter what ability of rider you are. Get Rearin' on over from Natural Horse Training to Home where you can find how-to tutorials, tips and more!